Swarm Blog: DB42 Full Version Now Available! The full version of DB42 is now available on the Android Market! This full version contains 100 brain-teasing levels. At its current $1.99 price, it's an absolute steal for gamers who love platform puzzle games like Portal. 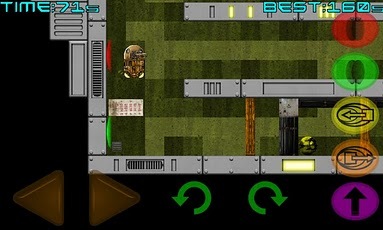 Make your way through the Cynobotic Army's Advanced Robotic Training grounds. These will test your wits and resourcefulness to the utmost! 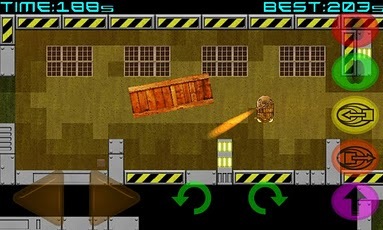 Jump, run, swing, grapple and teleport your way to the top. Learn the ropes as you explore the introductory levels that slowly introduce you to the components of the game. From there, you blast off into many more levels of fun and brain-teasing craziness! Congratulations to Gushiku Studios for another stellar release! You're the current record holder for the most Swarm Achievements added to a single title thus far. The team here at Swarm really enjoys all of your clever, humorous Achievements! Thanks for making us all smile and bringing cheer over the holidays.